It must look awesomely cute – who doesnt like cute things ? 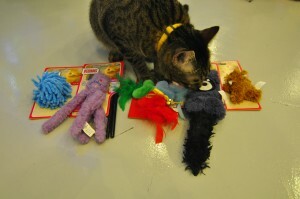 It must be affordable – buying toys for 15 cats at 1 go can be a rather expensive affair. We are glad to say that Kong toys has fitted the above criteria. 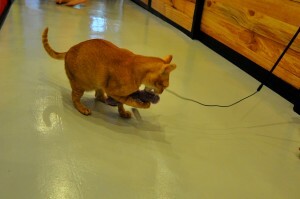 Kong toys have been extremely well design for interactive play time with cats. Its toys is also one of the most durable toys compared. 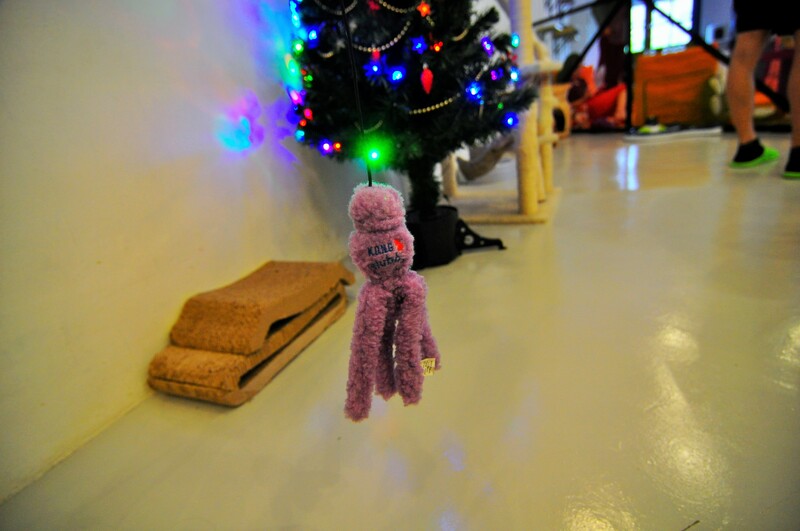 Take its Wubba Teaser for example, a similar teaser will probably snap in less than a week (in cafe uses with 15 cats and many customers), Wubba Teaser had lasted for over 3 months before finally giving in to the torture of our cats. We have recently reloaded our Kong toys and Elly decide to check out the toys. The Wubba Teaser ($14) above is one of our favorite toys, it not only contain catnip, it also has a bell to attract a cat’s attention. The best part we loved about this toy – its elastic string is almost unbreakable when compared to other similar teasers. 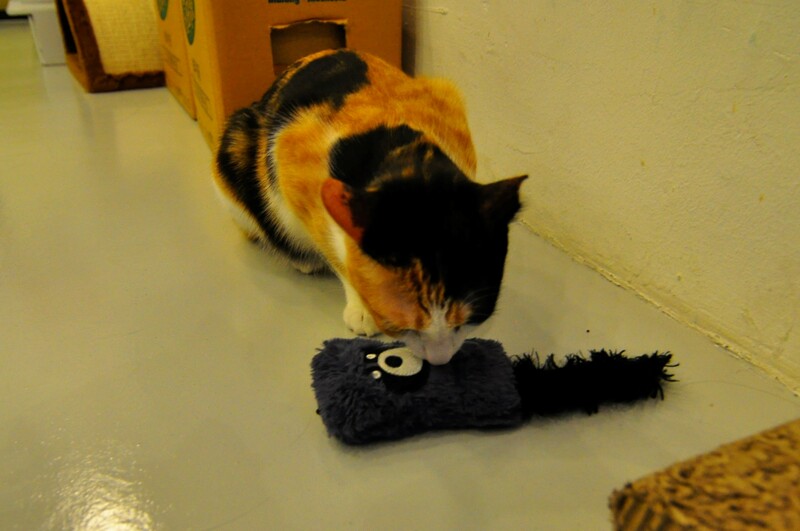 This Kickeroo ($9) is less of an interactive toy, its main purposes is to allow cats to self-play. It is infused with catnip and is just large enough for a typical size cat to hug and kick into pleasure. Such toys allow cats to play with themselves even with their owners are not around. 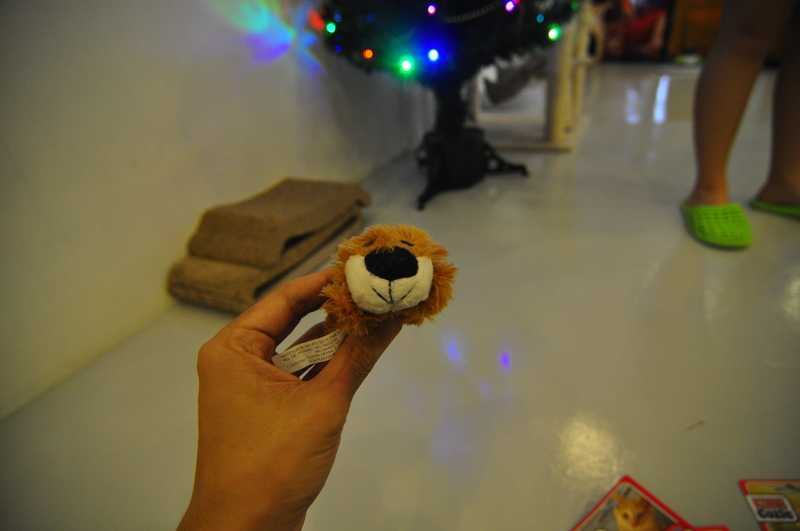 This little toy – Cozie ($7) above is cute enough even for humans to play. Again, it is infused with catnip that will send most of your cats crazy for quite a while.